So you got yourself a fish and he doesn’t want to eat that delicious pack of mysis shrimp that the rest of your tank inhabitants love, and even fight over. What ever shall you do?! Well first let us take a look at why a fish would not want to eat. Fish caught from the wild often hunt for live food or are accustomed to a particular species of algae or seaweed from their environment. Fiji’s ocean has much more food to choose from then the box of water I have here in Indiana, even when I over feed. One reason a fish may not accept your food is because you simply do not have what they are used to. It is like a kid picking out food at a foreign restaurant for their first time…they just want the grilled cheese sandwich! Sometimes a quick fix is to change food! If your fish doesn’t want to eat frozen food you may have to try live stuff. Some places off live feeder foods like pods, brine, and even live mysis. These will almost instantly trigger a feeding frenzy, however it is not financially wise to keep these animals on live foods alone, as shipping them can get expensive if your LFS does not carry them. Another option is to grow your own! 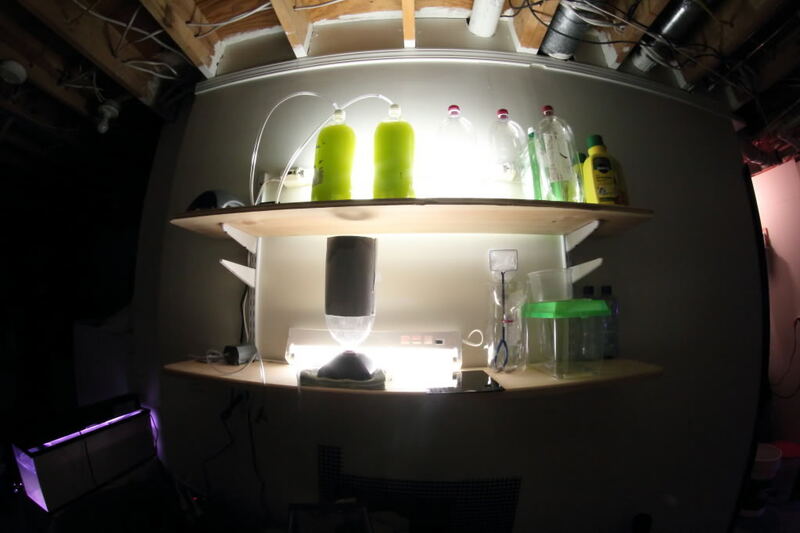 Hatcheries are cheap to make and often the animals you want to grow come with the necessary mix of food and salt. Brine Shrimp often comes in a sack of eggs and salt and requires no more than a jug of water and some bubbles. If your fish still does not want to eat, try injecting the foods with garlic extract. As a fisherman I have experimented with various means of triggering bites on days when fish are at their laziest or during spawning season when they are too busy making nests. Dipping my lure in Garlic has triggered some of the fastest bites I have ever encountered to the point where I felt I was cheating! This also works with reef fish, although garlic does not knowingly occur in the ocean. What ever the reason, the fish usually love the stuff and some believe (but not scientifically proven) that the garlic boost the immune system in fish like it does people. If anything it makes them stink so bad the ich leaves them be. DO NOT AGREE WITH THAT PLEASE. 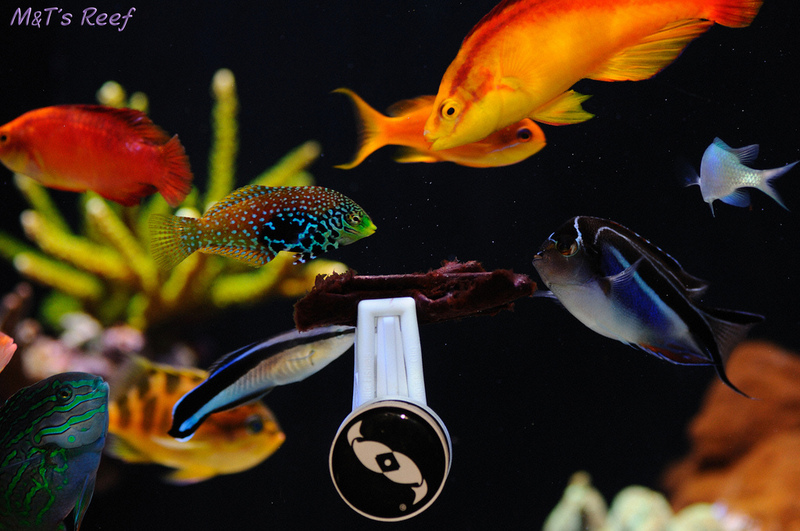 Some tangs will be very picky with what color algae you put on their clips. One tang may love the green stuff while the same species in another town may only like red. Simply try switching the kind you are feeding them! Maybe the stuff with garlic is actually keeping them from eating it? If using a garlic enhanced food try something without the additive. Look in your Asian food aisle or store for dried seaweed that has no additives, but beware, some packing may only be in a foreign language and you may have to ask the store owner to translate if it is an authentic place. This is the stuff they wrap sushi rolls with, if you did not know. Other instances may be harder to determine if in fact your fish is eating. Some fish enjoy a minimal amount of meat and a mass amount of algae! In my tank there is a Pygmy Angel that will not touch any food I feed and I have tried EVERYTHING!!! He has been with us for a good 6 months now and is fat as can be. I later realized he was living purely off the algae on my rocks, which is perfectly fine as long as I have algae. Meat Eating Beastly fish like the Lion, eels, groupers, and even sharks are much harder to coax into eating sometimes because they have no supply of live food to hunt. If switching foods and spiking with garlic do not get them to eat then it is time to get some Salt acclimated mollies or guppies. 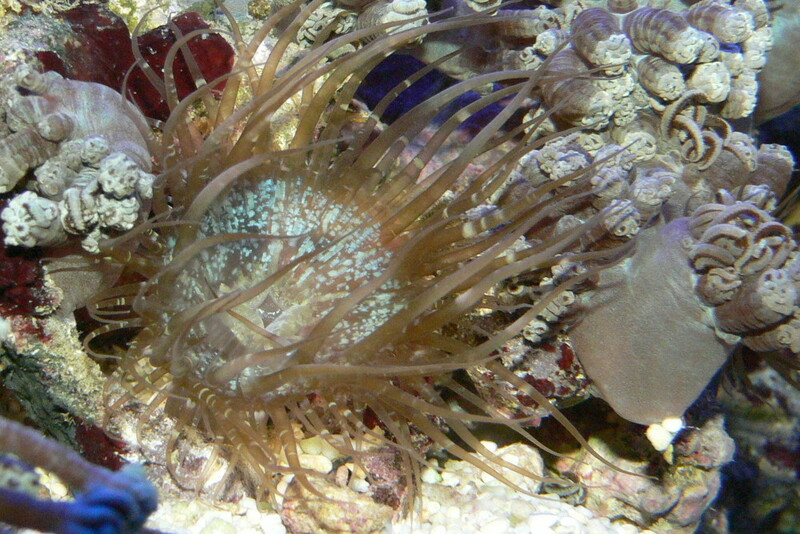 The fish must be fully adjusted and fed marine food for at least 2 weeks to be considered acceptable marine food. NEVER USE FRESHWATER ONLY FISH LIKE ROSIE REDS OR GOLDFISH THEY CAN KILL YOUR FISH! Here is how I got my lion to eat. First I started by dropping in one or two feeders. Predatory fish cannot resist a small, helpless, slow swimming fish. He instantly nabbed them one by one. I allowed this to go on for a few days, feeding him one or 2 every other day to keep him on the hungry side. Once I was sure he loved live fish I started dropping in fish that I would kill. A humane way is to poke a needle through the head of the guppy or mollie and it will die painlessly, freezing them didn’t seem to work well for me with feeding, plus the wound gave the fish something to smell. I used a meat skewer to give the fish a little life and the lion inspected it as I teased him a little until he finally devoured it. Each time I fed him I would lay off the fish a little each time until I could finally just toss it in dead and he would eat it. I finally moved onto silver sides and whole table shrimp and could end my guppy killing. After a while he would even eat clam and squid meat. Eels are a little different though. They are blind. The best way to entice them to eat is smell. Poke holes in what you are trying to feed them to increase the scent. If you have tried everything in your power to get your animals fed and they still wont accept anything than it is time to look deeper into the problem. 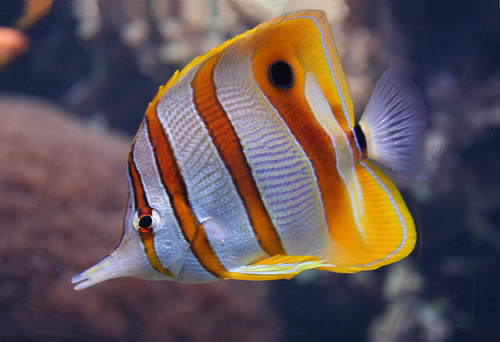 Some fish, like the copperband butterfly will literally starve themselves to death. These feed on aiptasia sometimes and when one is fully accustomed to that diet you might as well forget it. This would be the ideal fish to pass around to the local aiptasia clubs. 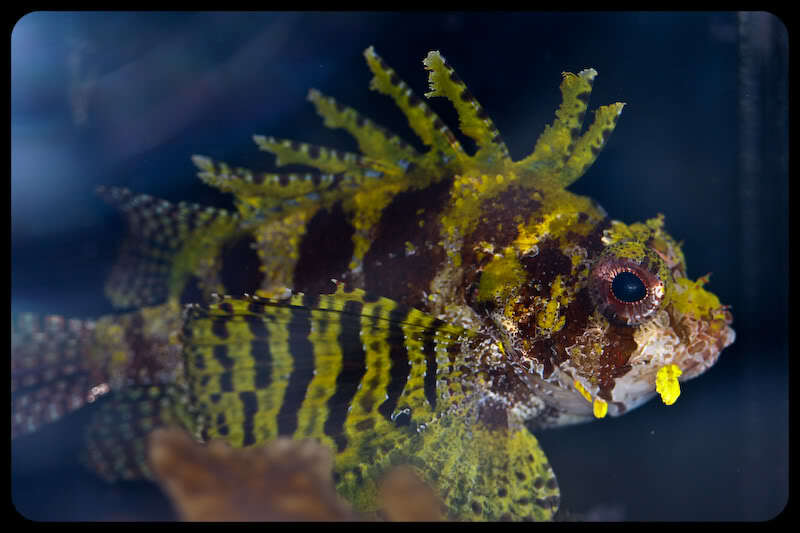 Dragonets are a great example of fish that require specialized diets. 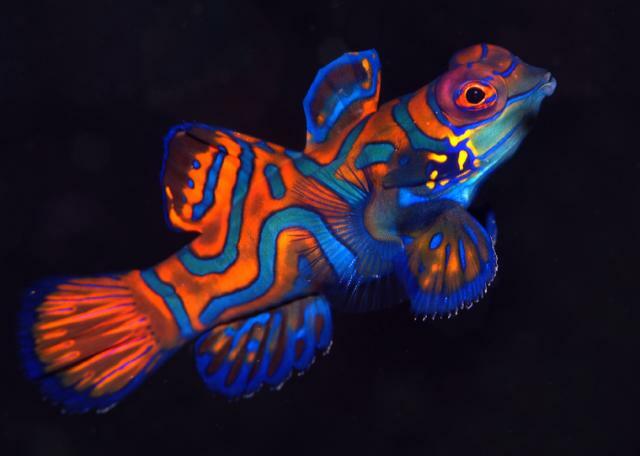 It is said that a Mandarin Dragonet will eat one pod every 10 seconds while it is awake. If your lights are on for 10 hours a day that would mean he would need to eat THOUSANDS of pods in one day just to get by! Thankfully these fish can be trained to eat frozen foods given the right techniques. Some places sell them already on these diets, which lead to extremely healthy fish and less stress over pod production in your tank. Specialized diets are a very important thing to pay attention to. 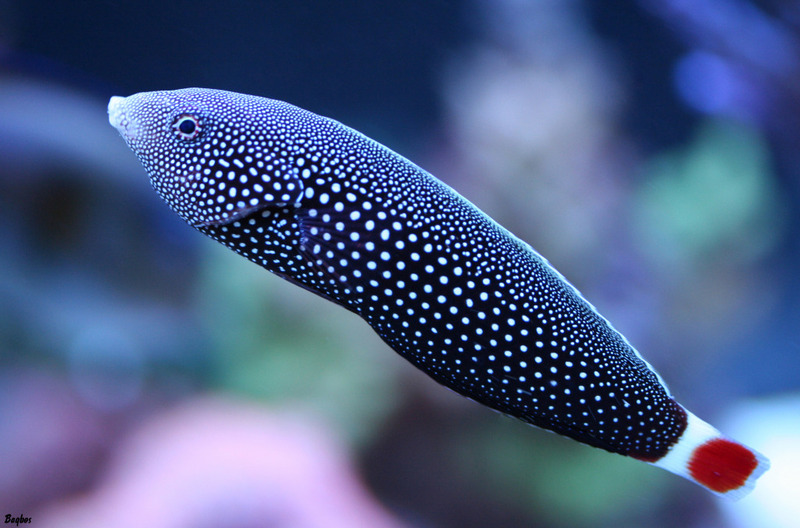 A Vegetarian cannot live off live guppies and an eel cannot eat algae. Do everything in your power to replicate their exact diets and then ween them onto an equally healthy and easier to accommodate diet.